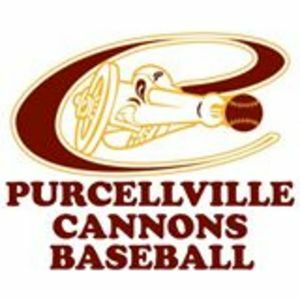 PURCELLVILLE, VIRGINIA-- The Purcellville Cannons defeated the New Market Rebels, 4-1, on Saturday night at Fireman's Field to take a 1.5-game lead on the Rebels for the fourth and final playoff spot in the VBL North. In a must-win game, Cannons' starter Pat Doudican authored a 6-inning shutout of the Rebels, yielding just four hits and forcing four ground ball double plays to earn his second victory of the season. Aided by early errors by the New Market defense, Purcellville took a 2-0 lead in the third inning when a ground ball was booted by first baseman John Cable and allowed Ray Hernandez to score. The Rebels committed six errors overall in their 24th loss of the season. Third baseman Tyler Ratliff continued his tear at the plate, knocking RBI singles in consecutive at-bats in the fourth and sixth inning to push the Cannons' lead to 4-0. RHP Joey Johnson allowed four runs (two earned) over six innings of work and was given the loss, evening his summer record at 3-3. New Market got on the board with a solo home run by designated hitter Luke Bolka off Matt Kaster in the bottom of the seventh. With a 3-run lead, closer Will Reed was lights out on the mound once again, tossing two scoreless inning and striking out five to pick up his division-leading sixth save of the season. 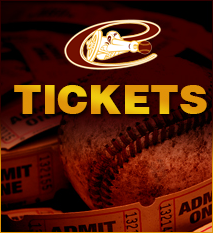 After strengthing their bid for a playoff spot, the Cannons (17-22) will travel to Woodstock to take on the last-place River Bandits (11-28) at Central High School on Sunday night. Purcellville is 4-0 against Woodstock this season, and a win on Sunday would increase their lead to two full games over the Rebels in the postseason chase. Matt Copley gets the start for the Cannons and will look to forget his last outing when he allowed six runs in three innings of work in a 14-5 loss to Winchester on July 19th. Copley is 1-2 with a 4.35 ERA in 9 appearances (5 starts) this season, with his lone victory coming against the River Bandits on July 1st when he allowed two runs over a 7-inning span. Danton Hyman gets the ball for Woodstock, carrying an 0-1 record and a 5.76 ERA into his fourth start of the season. Hyman allowed four earned runs over two innings in his lone appearance against Purcellville this season on June 28th.